Just as creatively hopped craft beers have captured the taste buds and wallets of consumers, so too has the passion and entrepreneurial spirit of the craft brewing industry captured the hopes of small hop growers across the country. Since we’ve started, Craft Brewing Business has covered the growth of small, independent hop growers and other agricultural start-ups that have sought to support the craft beer movement on a local level. It’s also a trend that larger hop growers, like Crosby Hop Farm LLC, and distributors, like BSG CraftBrewing and Hopunion LLC, have noticed. While the hop industry expansion is exciting for the industry, there is one lingering concern: quality. It’s true, hops are hardy plants that can grow in just about any climate, but there are myriad challenges that face small start-up growers, from building the proper infrastructure of trellises to buying support equipment like hop pickers, kilns, balers and tractors. With the focus on retaining quality, Hopunion LLC plans to continue to support new growers in their efforts. The company’s lab, Alpha Analytics®, for example, is committed to providing hop analysis services to growers both big and small throughout the United States, and through those services, Meyer reports seeing high-quality hops come from these farms. The hop industry is growing because craft brewing is growing overall. Every day it seems that a new craft brewery sprouts up in all 50 states. The latest numbers from the Brewers Association show that nearly 400 new breweries opened in 2013. So, what does a growing craft industry, an increase in hop growers and big demand for beer and hops alike mean to you, the craft brewer? One word: contracts. As an agricultural product, hops don’t have the luxury of adapting quickly to the demands of an exploding industry. Crops are subject to the whims of weather. Because of this, many hop growers plant more than they’re contracted for in the coming year. As a brewer, if you want to make sure you get your hops, you need a strong contract with a trusted grower. Creating a solid contract is key for any craft brewery. In fact, with no minimum quantity for a hop contract, Hopunion LLC goes as far as encouraging all breweries to contract their basic hop needs at least 1­2 years out. With that demand in mind, it’s a good idea, as a brewer, to remain flexible when creating beer recipes. What are the most in-demand varieties? 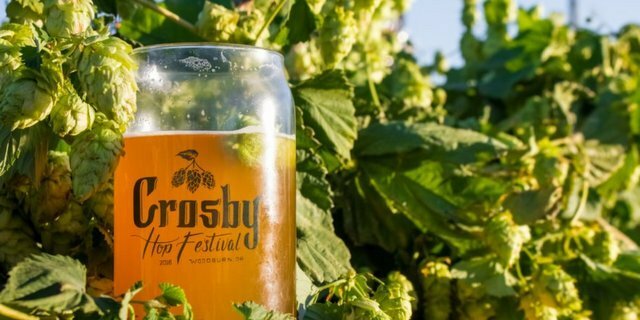 Both Crosby Hop Farm’s Evers and Hopunion LLC’s Meyer reported that the most popular varieties in 2013 were: Cascade, Centennial, Chinook, Columbus, Citra® Brand HBC 394cv., Simcoe® Brand YCR 14 cv., Amarillo® VGXP01, Crystal, Willamette, Saaz and Golding. The proprietary hops — Citra® Brand HBC 394cv., Simcoe® Brand YCR 14 cv., Amarillo® VGXP01 — continue to be widely sought after hops, often outpacing supply. Additionally, Cascade, Centennial, Chinook, Columbus, Crystal, Willamette, Saaz and Golding have also enjoyed strong popularity. “There are a lot of new and interesting aroma hops coming to market in the near future from both public and private breeding programs,” Evers said. Dawn Kath Bolen liked this on Facebook. @CraftBrewingBiz , great article! Thanks for sharing!